Mario Zanforlin, born 16.12.1934 in Pontecchio Polesine (Rovigo), finished his studies in educational sciences in 1963 at the University of Padova, received his Ph.D. in "Animal Behaviour" at the University of Edinburgh (U.K) in 1968. 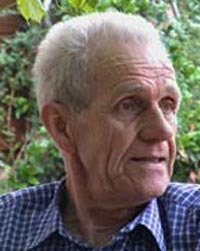 He is full professor of animal and comparative psychology at the University of Padova, Italy, since 1975, now Emeritus. Honorary Member of the international Society for Gestalt Theory and its Applications (GTA). Member of the Association for the Study of Animal Behaviour and of the Psychonomic Society (USA), of the Società Italiana di Etologia and of the Accademia Galileiana di Scienze Lettere ed Arti in Padova. Research Area: comparative and animal psychology: comparative analysis of visual perception systems in the main phyla: Molluscs, Arthropods and Vertebrates (including man). See the web page of MZ at the University of Padova. BEGHI L., XAUSA E., ZANFORLIN M. A mathematical model of depth displacement of contracting 2-D figures. Part B: Contracting rectangles with invariant side ratio. In: C. Musio (ed. ), Vision: the Papperoach of Biophysics and Neurosciences. Singapore, London , Hon Kong, World Scientific, pp. 483-487, 2001. XAUSA E., BEGHI L., ZANFORLIN M. A mathematical model of depth displacement of contracting 2-D figures. Part A: Rectangles of constant width undergoin lateral displacement. In: C. Musio (ed),Vision: the Papperoach of Biophysics and Neurosciences. Singapore, London, Hon Kong, World Scientific, pp. 476-482, 2001. XAUSA E., BEGHI L., ZANFORLIN M. A Mathematical model of depth displacement with a contracting bar. Journal of Mathematical Psychology, 45, pp. 635-655, 2001. ZANFORLIN M. L'origine delle facoltà mentali. Discorso inaugurale per 'anno accademico 2000/2001. Atti e Memorie dell'Accademia Galileiana di SS. LL. AA. In Padova, CXIII, Parte I°, pp.59-74, 2001. ZANFORLIN M. The various percepts produced by a rotating ellipse: The problem of the missing spheroid. Atti e Memorie dell'Accademia Galileiana di Scienze Lettere ed Arti in Padova, Vol. 113, Parte II, pp.7-24, 2001. ZANFORLIN M. La visione tridimensionale dal movimento. In: Purghé F., Stucchi N., Olivero A. (edts), La Percezione visiva. Torino, UTET, pp. 438-457, 1999. VALLORTIGARA G., REGOLIN L., RIGONI M., ZANFORLIN M. Delayed search fòr a concealed imprinted object in the domestic chick. Animal Cognition, 1, pp. 17-24, 1998. BEGHI L., XAUSA L., TOMAT L., ZANFORLIN M. The depth effect of an oscillating tilted bar. Journal of Mathematical Psychology, 41 (1), pp.11-18, 1997. TOMMASI L., VALLORTIGARA G., ZANFORLIN M. Young chickens learn to localize the centre of a spatial environment. Journal of Comparative Physiology A, 180, pp. 567-572, 1997. VALLORTIGARA G., REGOLIN L., RIGONO M.,ZANFORLIN M. Delayed search for a concealed imprinted object in the domestic Chick. Animal Cognition, 1, pp.17-24, 1997. ZANFORLIN M., BEGHI L., XAUSA E., TOMAT L. The depth effect in the stereokinetic phenomenon of the "swinging gate". In: C. Taddei-Ferretti (Ed. ), Biocyberetics of vision: Integrative mechanisms and cognituve processes. Singapore, London, Hong Kong, World Scientific, pp.301-304, 1997. ZANFORLIN M. Visual perception of complex forms (anomalous surfaces) in chicks. Italian Journal of Psychology, 8 (1), 1-16, 1981. ZANFORLIN M., Perception of spatial relationship and pupation delay in flay larvae (Sarcophaga barbata). Animal Behaviour, 17, 323-329, 1969. Stereokinetic phenomena as good Gestalts. The minimum principle applied to circles and ellipses in rotation: a quantitative analysis and a theoretical discussion Gestalt Theory, 10 (4/1988), 187-214. (with Vallortigara, G. & Agostini, A.) The whole may be less than the sum of its parts: The case of stereokinetic cone divided into parts. Gestalt Theory, 13 (4/1991), 243-249. The various appearances of a rotating ellipse and the minimum principle: a review and an experimental test with non-ambiguous percepts. Gestalt Theory, 22 (4/2000), 157-184.